If Donald Trump’s marionette Attorney General William Barr had released an even remotely accurate or truthful summary of the Robert Mueller report today, Mueller could probably have simply gone back to retirement. But because Barr released a hilariously false “summary” that has legal experts rolling their eyes, and the public and the media ferociously demanding answers, Mueller is about to come back front and center in a way we’ve never before seen. Look for House Democrats to very quickly do two things. They’ll subpoena the Mueller report itself, which will set up a legal battle – and perhaps negotiations – about how much of it Barr will have to turn over. They’ll also subpoena Barr, and force him to testify about why he’s misleading the public about what the report says. If Barr refuses, he can be held in contempt of Congress and arrested, and you’d better believe there’s enough of a public appetite to support such a move. But that’s nothing compared to what’ll come next. 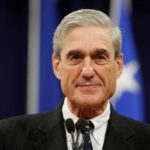 For months, various House Democrats have publicly stated that if the Trump regime tried to bury the Mueller report, they would simply subpoena Robert Mueller to publicly testify about what his report says. Now that the Trump regime is indeed playing the worst of games with the report, there is no doubt House Democrats will bring in Mueller to testify, because they can make that happen quicker than they can forcibly get their hands on the report. There is every reason to expect that Robert Mueller will cooperate with such a subpoena, and no reason to expect that Trump or Barr can stop it. Mueller will only be willing to testify publicly about the parts of his report that aren’t part of ongoing investigations. But beyond that, everything will be on the table. Just about the entire world will tune in to hear Mueller speak, and it may end up being a more effective blow to Donald Trump than if Mueller’s report had simply been published to begin with.